Map Add-ons can help make navigating directions easier, more reliable and all around more safer. Paper maps are a thing of ancient history with all of the neat mapping extensions available. You can now calculate your route based on highway preferences, scenic routes, shortest distance, fastest route and more. Utilizing map add-ons can tell you about the weather at your destination, current driving conditions and points of interest while on a trip. Map add-ons can act as a personal driving assistant or a GPS making them perfect for use on your mobile device. Quick Maps is a mapping add-on created by Mapify. 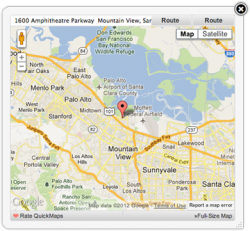 Quick Maps utilizes Google Maps in order to get directions and find locations. It is very fast and reliable. By hovering over the address Quick Maps will display a Google map image directly next to the searched address. You can also use the ‘Search with QuickMaps’ tool. This prevents you from having to go to the Google Maps website directly to look up directions. This mapping add-on delivers by providing fast searches and unmatched accuracy. If you happen to get lost while on the go you can pull over and find directions quickly using Quick Maps on your smartphone device. This trusty navigational add-on is free. It can be downloaded from Mozilla Firefox and Google Chrome. 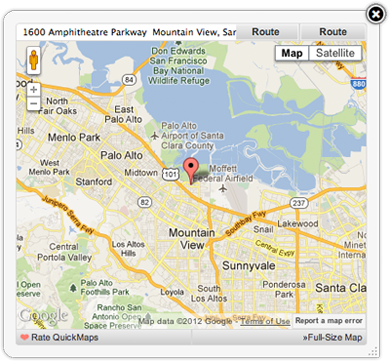 Map This 3.0 is a great extension that will allow you to get a Google map for any address found on a webpage. You no longer have to manually create a new tab and enter the address into Google maps. Map This 3.0 allows you to select the address, right click and choose “Map This”. You can use a variety of tools in order to make getting directions to and from based on your own preferences. You can avoid toll roads, select the fastest or the scenic route and more. You can also set a home location to always have you’re your home address auto selected. This add on is great for personal computers as well as smartphone, making getting lost or stuck in traffic a thing of the past. Map This 3.0 is free. It can be downloaded from Mozilla Firefox. Map Add-ons have many useful features and can quickly become a driver’s best friend. You will be able to arrive at unknown destinations on-time and at ease. Keep in mind that these add-ons are constantly being updated and are available on more browsers. Driving can become far less stressful with help from these reliable map add-ons, so try them out next time you are going home just to test out which features you like and don’t like. After you have chosen your favorite map add-on you can use it to get to unfamiliar destinations safely and without stress.